As a shareholder, with nearly 30 years of experience, William is a trial lawyer who has significant experience in the areas of Transportation Law and Premises Liability. From slip/trip and fall events to serious, permanent injuries, William offers skilled legal representation to owners, operators, and managers of companies and corporations. 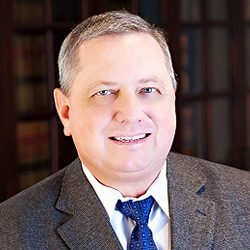 In addition to small, locally owned businesses, he has successfully represented national organizations at trial in Texas state and federal courts, as well as across the nation. William has tried and obtained defense verdicts in wrongful death cases involving transportation companies and large corporations and has been called upon to investigate wrongful death cases in the field within hours of the incident. His work also includes litigating highly complex cases in the areas of commercial litigation, wrongful death, legal malpractice, employment, and construction defect issues and he has handled cases involving cutting-edge issues on health care benefits as a member of the national trial team in a leading toxic tort case tried in Wilmington, North Carolina and monitored oil & gas litigation involving pre-eminent Texas families in the industry. William is rated AV Preeminent TM 5.0 out of 5 by Martindale-Hubbell Law Directory, and was named a “Top Rated Lawyer” by American Lawyer and Corporate counsel magazines for Transportation Law for 3 consecutive Years (2013-2015). William and his wife, Kathy, have two children. Over the past 25 years William has been actively involved in his church as well as community service. William has sat on several committees for the National Kidney Foundation and has been an active board member at Victory Assembly in Carrollton, Texas and Freedom Life church in Carrollton, Texas. William spent over 16 years providing leadership roles at his church from a board member, an elder, and officer. William is a sports fanatic in following the Dallas professional sports teams, Cowboys, Mavericks and Texas Rangers. 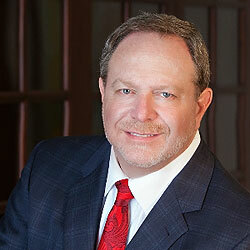 He is also an avid golfer when time allows and enjoys establishing relationships with clients on the golf course. William’s daughter played Division 1 volleyball at Cincinnati which allowed he and his wife to establish a broad range of friendships. Glenn D. Faulk, as Guardian of Vernon Rairie, Incapacitated v. Southeastern Freight Lines, Inc. and Santiago Gutierrez, Jr. - This lawsuit was a collision involving a trucking company and was tried in district court in Laredo, Webb County, Texas. Plaintiff alleged Southeastern and its truck driver were negligent and grossly negligent. Plaintiff sought mutli-million dollars in damages for his injuries, including damages for past and future physical pain, past and future mental anguish, past and future loss of earning capacity, past and future disfigurement, past and future physical impairment, and past and future medical care expenses. Plaintiff also sought exemplary damages. The investigating officer placed liability on the driver but the jury found otherwise. Plaintiff’s injuries included actual medicals of $1,000,000.00 and future medicals exceeding $1,000,000.00. A defense verdict was obtained on behalf of the client, finding that neither the driver nor the trucking company were negligent. Pecina v. Monterey Foods, LLC - defense case tried in Dallas, Texas. The lawsuit was a premises liability action wherein the Plaintiff tripped and fell in one of Monterey Foods, LLC's grocery stores. Plaintiff sought damages for her injuries including, pain and suffering, past and present physical impairment, and medical expenses. Defense verdict obtained on behalf of client, Monterey Foods, LLC. Siemens Nixdorf – defense case tried in Ft. Worth, Texas whereby Plaintiffs were seeking $5,000,000.00 + the death of a wife and mother. The case was tried to a defense jury verdict in State Court in Ft. Worth, Texas. ABF Freight Systems – defense case tried in Dallas County. Plaintiffs were seeking $10,000,000.00 + in damages as a result of the death of a mother and father from a traffic accident involving an 18-wheeler. The case was tried in District Court with a defense verdict. Jim Sowell vs. Coppell – defense case tried in Federal Court in front of Judge Fitzwater. This case was a Fair Housing Act claim which was tried with a defense verdict. Hartman vs. St. Paul – defense case tried in Federal Court whereby Plaintiffs were seeking $60,000,000.00 in damages for bad faith. The jury found against Plaintiffs’ claims as submitted to the jury.